This incredibly life-sized representation of Ferrari’s fabled F40 must be seen to be believed. 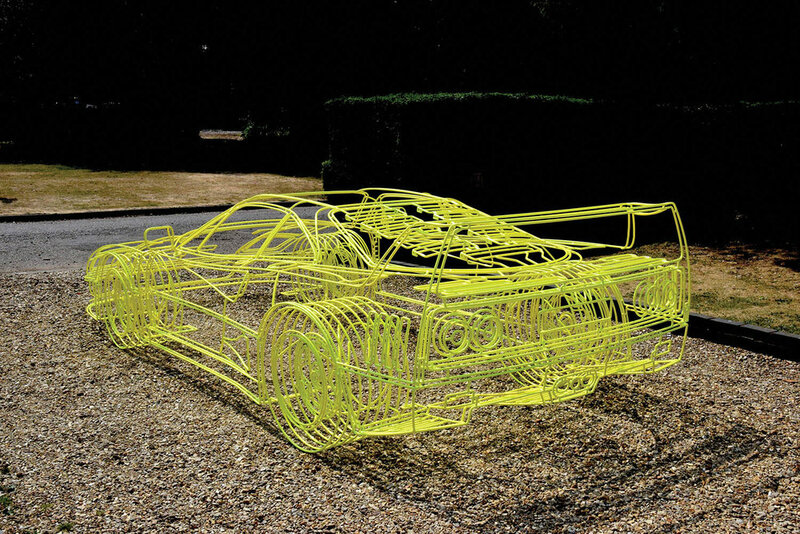 Artist Benedict Radcliffe has taken the intricate and complex design of the F40 and distilled it down to its essential components, creating and extreme rationalisation of the subject. The clean lines produce an impression of fluidity and continuousness, while the tone, quality and fluorescence of the paintwork move the sculpture from a functional representation to an edgy and sophisticated work of pop art. RM Sotheby's will be offering this one-off sculpture by Benedict Radcliffe at their upcoming London auction on the 5th September. For more information on this and the vehicles at the sale, click on the link below. Photos: ©2018 Courtesy of RM Sotheby's.